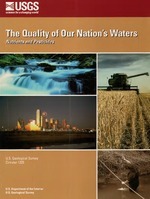 Redox processes and water quality of selected principal aquifer systems; 2008; Article; Journal; Ground Water; McMahon, P. B.; Chapelle, F. H.
Mueller, David K.; Spahr, Norman E.
Nutrients in Streams and Rivers Across the Nation -- 1992-2001; 2006; SIR; 2006-5107; Mueller, David K.; Spahr, Norman E.
Nolan, Bernard T.; Hitt, Kerie J. Ward, M.H. ; deKok, T.M. ; Levallois, P.; Brender, J.; Gulis, G.; Nolan, B.T. 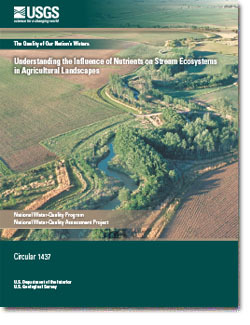 ; VanDerslice, J.
Workgroup report: Drinking-water nitrate and health - Recent findings and research needs; 2005; Article; Journal; Environmental Health Perspectives; Ward, M. H.; deKok, T. M.; Levallois, P.; Brender, J.; Gulis, G.; Nolan, B. T.; VanDerslice, J.
Nonpoint and Point Sources of Nitrogen in Major Watersheds of the United States; 1994; WRI; 94-4001; Puckett, Larry J.